Bella has adaptive PE at school. They get to bring some fun things over for her to play with. I believe this happens around once a month. 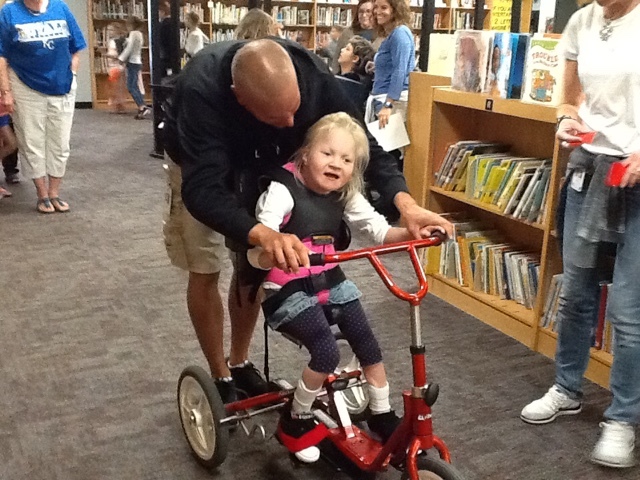 This week she got to ride an adaptive trike and it looks like she was having fun! If you want to spend the good day at the school then you can follow all the instructions from this site in no time. This is the a great article for the parents who want their children to work or learn in the safe environment.